SlingPlayer Mobile beta for BlackBerry available | BlackBerry Blast! 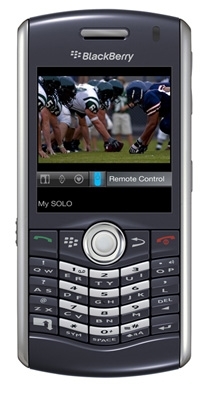 SlingPlayer Mobile for BlackBerry Beta has been released and is now available for download. The beta version of SlingPlayer Mobile is only available for GSM BlackBerry devices however, so make sure you find your BlackBerry device listed at the SlingPlayer Mobile web site. Who knows when a version for other versions of the BlackBerry will be available? We can't wait.